My name is Sadie, and I've created this blog to document my journey, raise awareness and most importantly help others dealing with scoliosis. Scoliosis can be a scary and frightening thing and I want to be able to help as many of you as I can. with that been said I'd like to firstly explain for anyone who has recently been diganosed what scoliosis is. 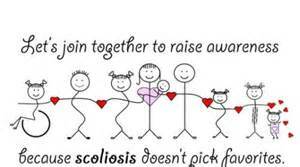 Scoliosis is an adnormal curvature of the spine it can be an S or C shaped curve, I personally had an S shaped curve. It is normal for everyone to have a natural curve within the spine, but when this curve gets over 10 degrees it is then considered a mild case of scoliosis. There are many treatments for scoliosis including close monitoring (i.e. X-rays), bracing, physiotherapy and finally for severe cases a spinal fusion may be required. When I was diagnosed I was already a severe case so I was unable to have a brace or phsiotherapy. This of course left my consultant with one option, surgery! Before I was diagnosed I had a strange feeling that something wasn't right, my parents noticed one day whilst out walking with my dog that my shoulders weren't even. My dad later questioned me as to why I was leaning to my left when I was walking, this came as a huge shock to me I had no idea that I wasn't walking straight, it all felt normal to me. I never really gave the way I walked much thought until I had to. My dad stood behind me and levelled my shoulders to were they should've been, when he did this it hurt and I guess this was the moment when it hit me. Maybe I really wasn't walking straight! After a year of appointments at Sheffield children's hospital, it was decided that I was to have the surgery, consent forms were signed and dates set, but then came the waiting game,possibly one of the worst things about my whole experience. I was an impatient person already and I overthink all most everything in life and as you can image this meant that the waiting was a thousand times harder. It allowed me to think about every negative possibility, which looking back now is the worst thing to do and as hard as it sounds honestly just try to focus on the positives. I had a spinal fusion on 14th June 2016, and I'm over 6 months post op now, which honestly I cannot even believe my self. I'm not going to sugar coat spinal fusion surgery by saying that you don't feel any pain because then I'd be lying ,it hurts, and most of the time when your lying in a hospital bed struggling to even walk anywhere on your own, there is times when you think to yourself why did I even do this! But of course there's ups and downs to everything and seeing my X-ray for the first time, that was a shock but the good kind. It was amazing to see my spine so straight and neat I couldn't even believe it was mine! Overall, 6 months later I can safely say that getting the surgery was the best thing I've ever done. My confidence has grown so much, the way I walk is so in line and there's no more hump on my back or shoulder blade sticking out. Yes, I have a huge scar down my back but, to be honest I don't even care. I'm proud of my scar it shows my strength and I would never change it. Please feel free to comment if you have any questions regarding scoliosis and I will reply as soon as I can.